A comfortable, efficient, affordable air conditioning solution. If you are looking for the comfort of reverse cycle or ducted air conditioning but are on a tighter budget, wall split systems are the perfect solution for your home. 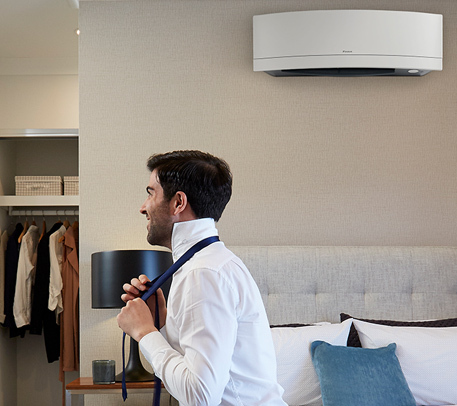 As a Daikin Specialist Dealer, Elec-Air can provide a range of great value quality systems in a variety of configurations. Our team of experts will work closely with you to find the perfect wall split system to suit your needs and budget. Looking for high quality, affordable air conditioning solutions? We only supply the absolute best brands on the market.